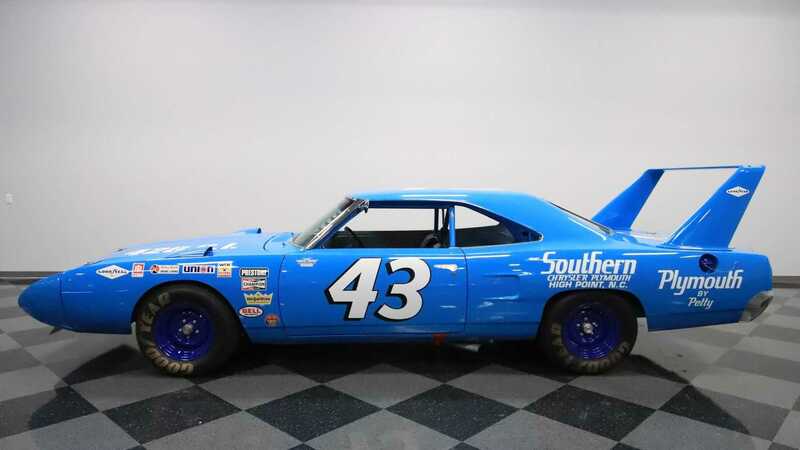 Richard Petty is known as "The King" of NASCAR. 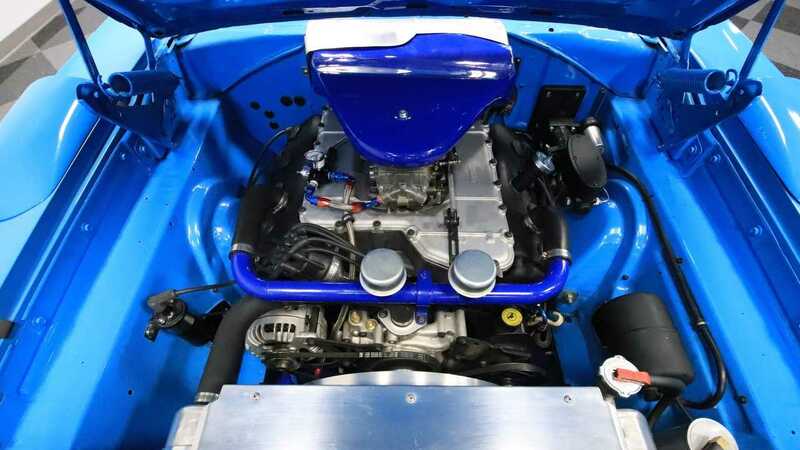 No small feat. 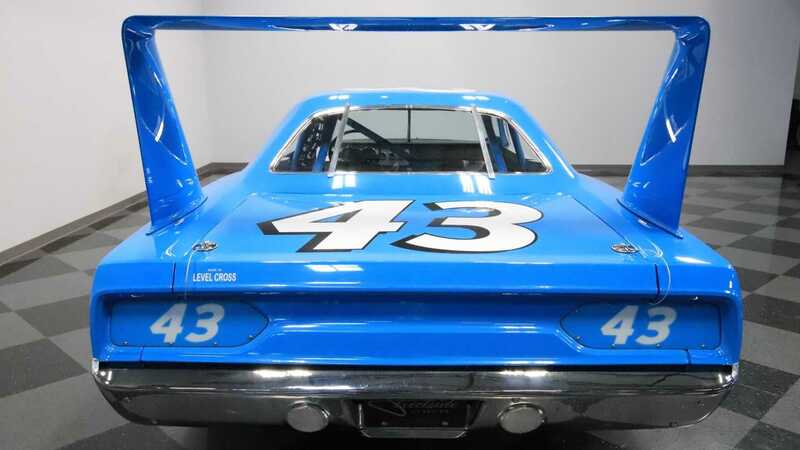 Thanks to his record-setting 200 victories in the Cup series, and a career which spanned more than three decades, the world wept when Petty retired in 1992. 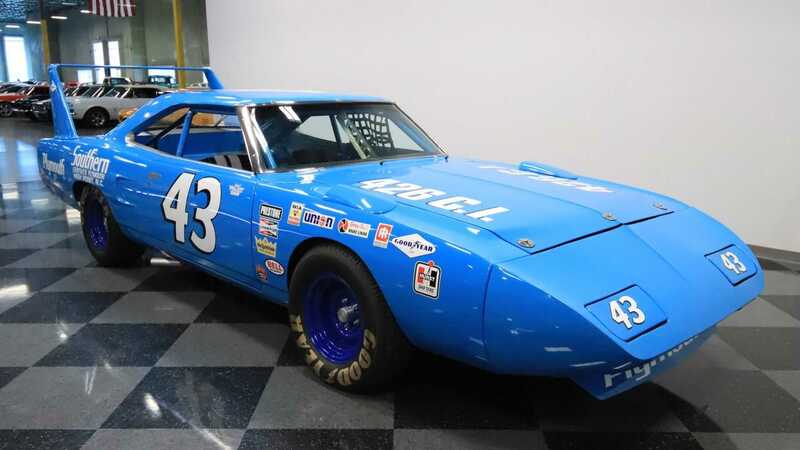 Turning back the clock to 1970, The King competed in 40 out of the 48 races sanctioned by NASCAR. 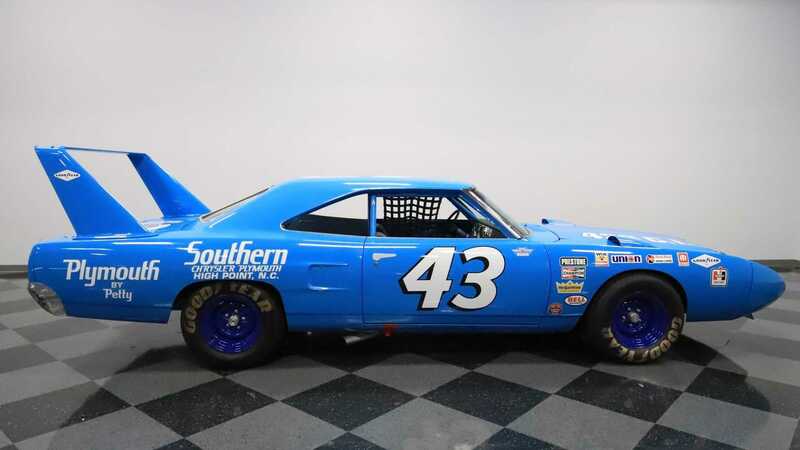 In those 40 races, Petty earned 18 victories, 27 top-fives, 31 top-10s, nine pole positions, completed 10,536 laps, led 5007 laps, and finished fourth in the final points standing for the season. 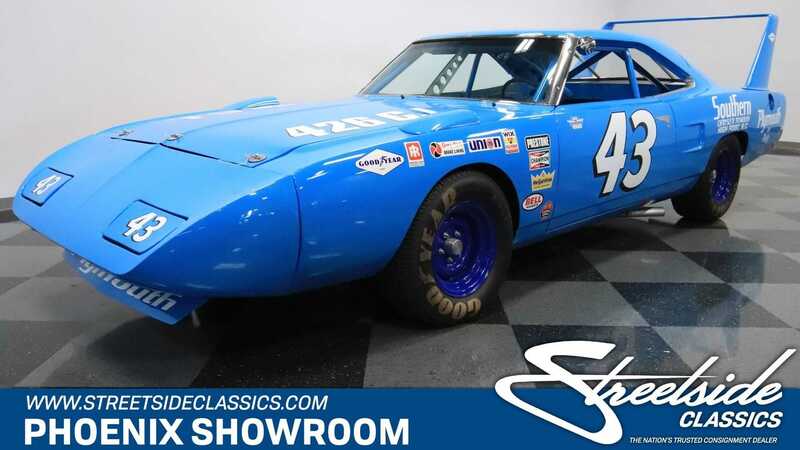 This particular 1970 Plymouth Superbird currently for sale at Streetside Classics in Mesa, Arizona is a replica designed to pay tribute to the original Superbird that Petty won 18 races with during the 1970 season. 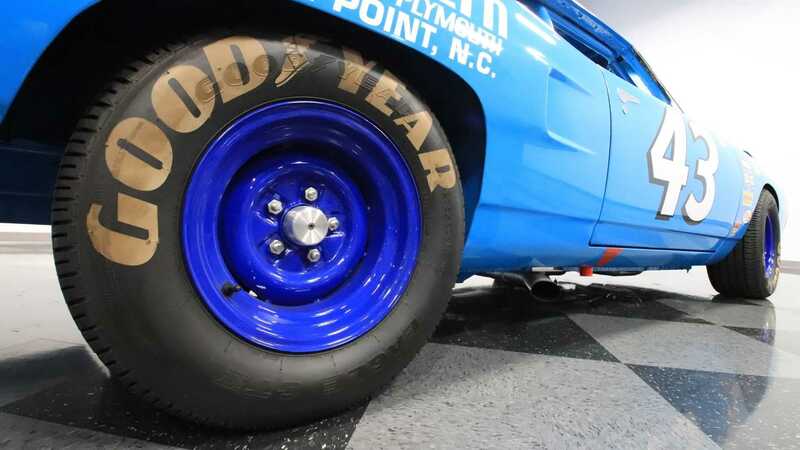 To us, it's pure nostalgia on wheels. 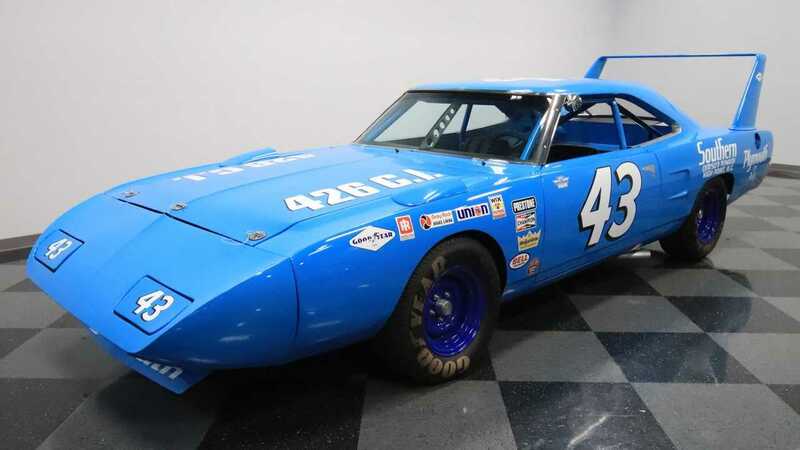 This Superbird has gone through a complete rotisserie restoration process, during which the vehicle was stripped down to bare metal. 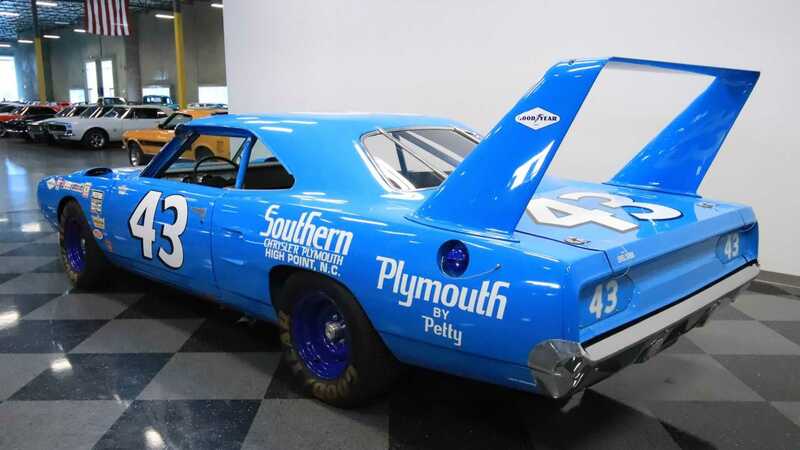 During the rebuilding phase, restorers studied the history of the Superbird and gave this car a full rebuild to ensure that this one faithfully represents the greatest aero car raced in NASCAR. 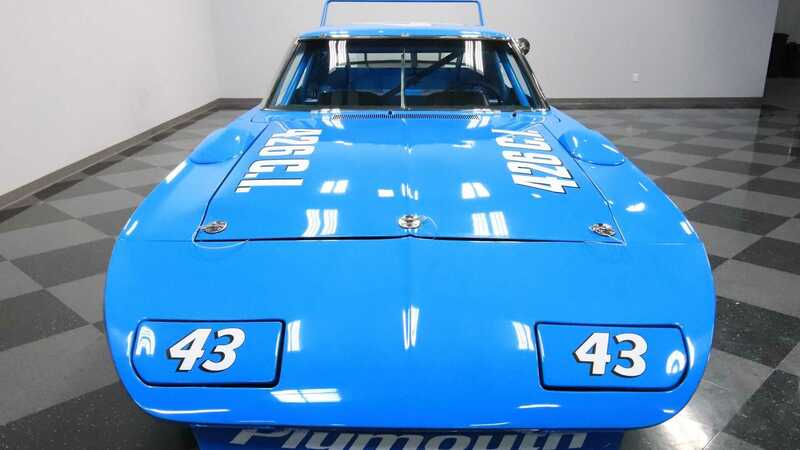 Unlike the original Superbird race car that Petty piloted in 1970, this Superbird is powered by a newer 472 cubic-inch Hemi V8 and is bolted to a race-spec, close-ratio four-speed manual transmission. 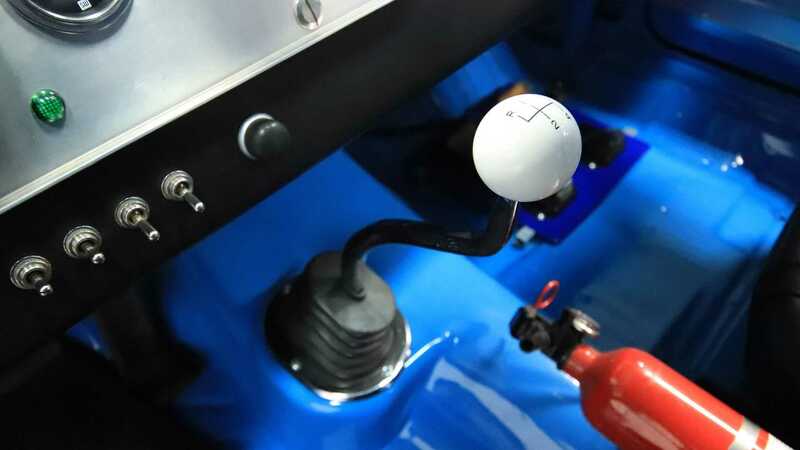 In order to produce the power, the Hemi V8 is fitted with a massive Quick Fuel 1050 CFM FX-series four-barrel carburetor, 580 lift camshaft, and ceramic-coated long tube headers which are connected to side exiting exhaust. 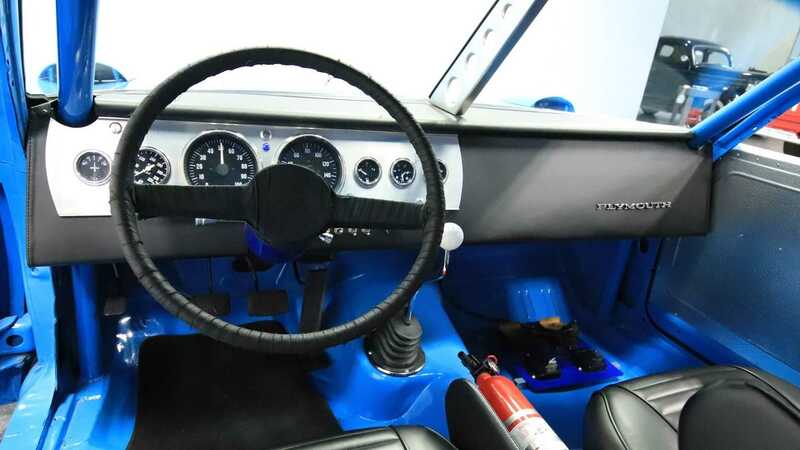 To keep this monster motor properly fueled at all times, the engine is fitted with stainless fuel lines, Holley electric fuel pump, and Earl's fuel regulator. 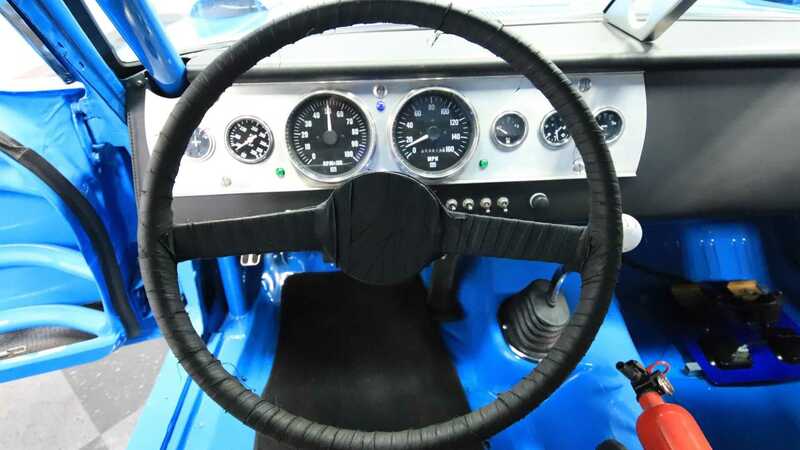 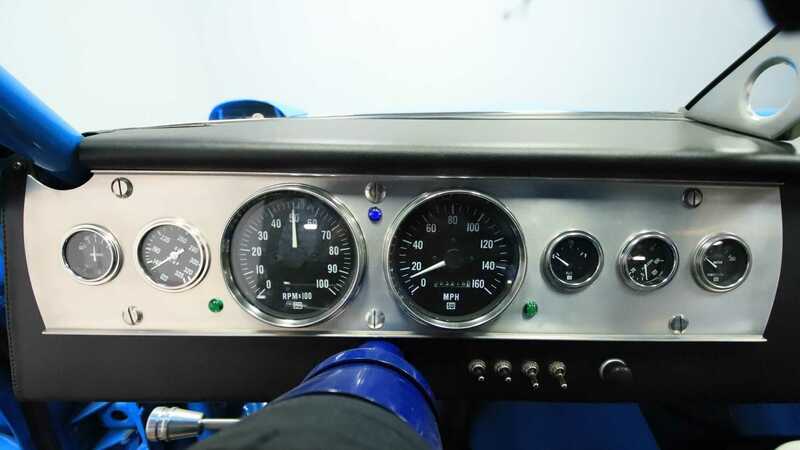 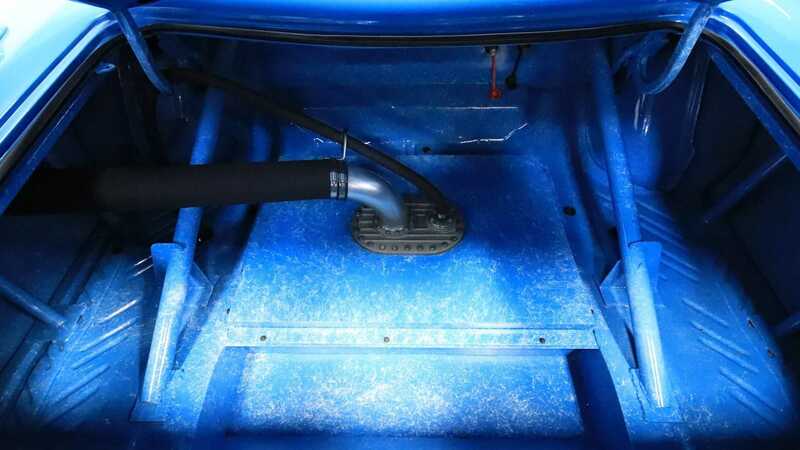 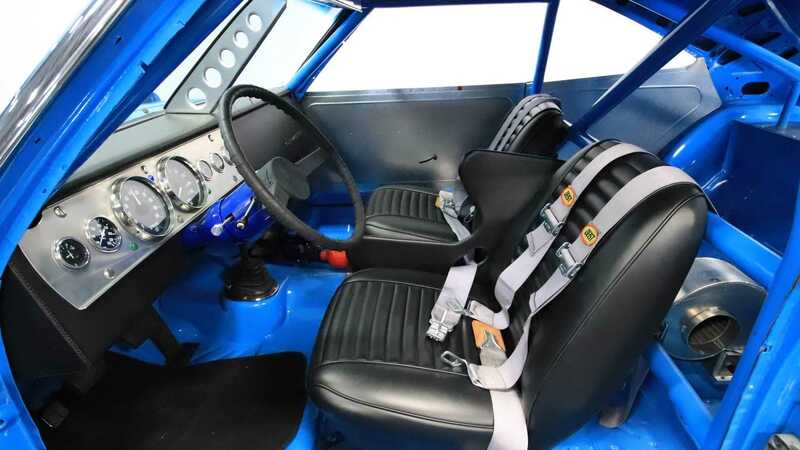 Inside, this Superbird provides a true time machine experience as it is fitted with a racer's bucket seat with race harness, drop-down window net, a thin steering wheel with grip tape, toggle switches, and a panel full of Stewart Warner gauges. 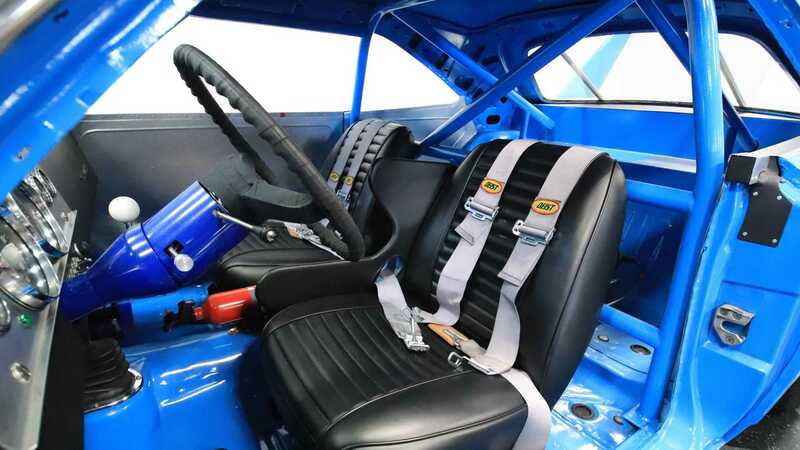 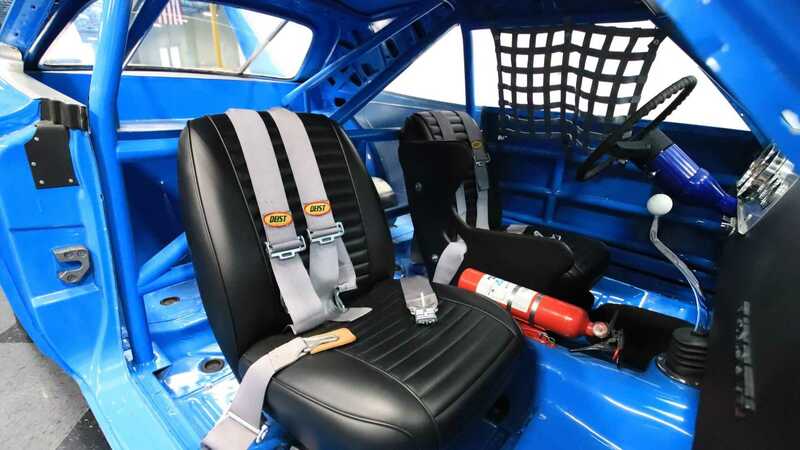 Since this car is still a racing machine, the interior also comes fitted with a custom integrated full roll cage, fire extinguisher, and a Hurst shifter. 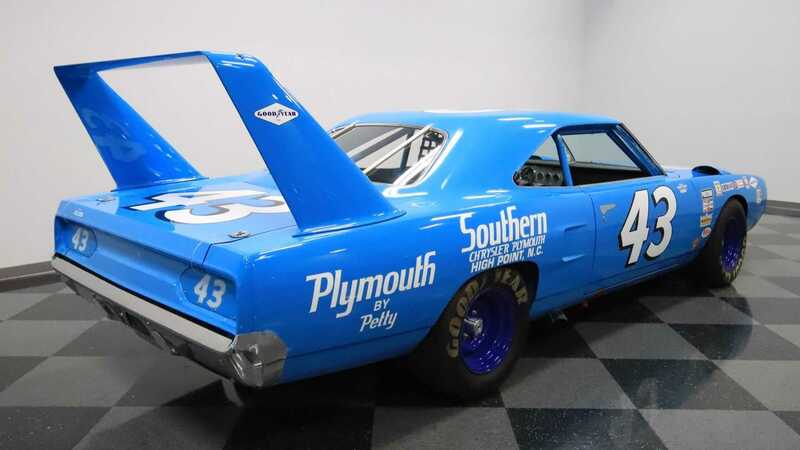 So, if you are currently shopping for a fully restored muscle car designed to pay tribute to one of the most iconic cars to ever race in NASCAR, then check out this 1970 Plymouth Superbird Richard Petty replica for sale at Streetside Classics for $344,995.